Sizes:- 1750, 2100, 2700 Sq-ft.
1285 / 1330 / 1365 / 1565 / 1592 / 1665 Sq-ft. 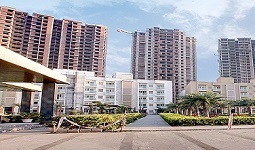 The Sunworld Vanalika Sector-107 Noida. Available in Resale 3/4 BHK Apartments. Size-1405, 1730, 2650, 3400 Sq-Ft.